London Design Festival arrived with its usual strength: designers, architects, design lovers, and decorators, among other curious, welcome London Design Festival, which happens in various streets of London between 14th to 23th September. Art is all over the city: My Design Agenda tells you what’s really worth to visit in this tenth edition. 100% Design is Britain’s most influential contemporary interiors show and as it stands it is the UK’s largest gathering of architects and interior designers. Tent London is one of the largest design trade shows taking place during the London Design Festival. Now in its sixth year at the Old Truman Brewery. Super Brands London is an interiors trade fair exclusively for established global design brands. Co-located with Tent London – a main destination hub during the London Design Festival, the exhibition occupies a 2,500m2 ground floor space of the ex-industrial, now impressive exhibition space – the Old Truman Brewery; bringing together two floors of pure design. A unique collaboration betwwen the world’s leading museum of art and design and London’s foremost contemporary design festival”, says Martin Roth, director of the V&A. Prism and Veuve Clicquot present an alternative view of London, exposing unseen data flows in the capital through a sculptural, immersive interface suspended in the V&A’s uppermost cupola. The installation is an investigation into the virtual life of the city, and our own often ambiguous relationship with the data that controls our lives. Global Design Forum is a new one-day event that brings together a star-alliance of design luminaries, organisations and talents to debate the issues and pressure points that are really affecting the design industry. 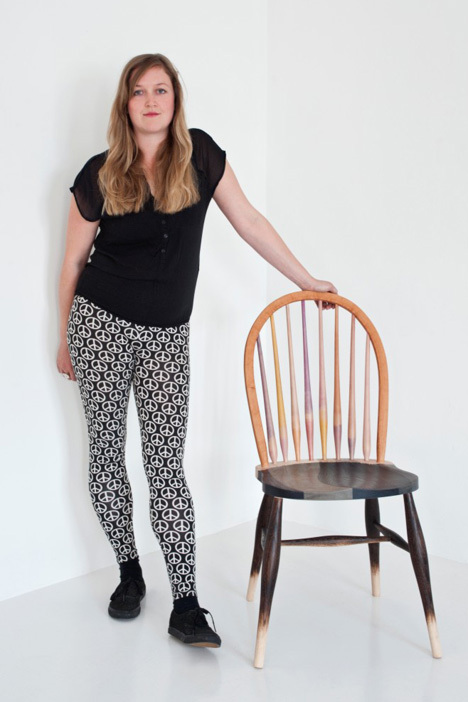 An innovative collaboration between the american hardwood export Council and the Royal College of Art Design Products programme offers a fascinating approach to working with an age-old material—American hardwood. Out of the Woods explores the creative and environmental potential of this naturally renewable material by looking at the entire life cycle of each product. 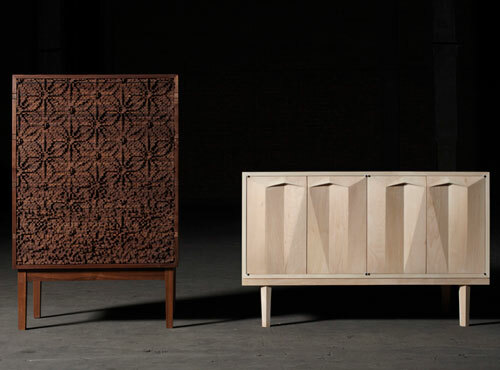 Larkbeck showcases furniture from it’s new studio collaboration. Rafe Mullarkey and Laszlo Beckett’s London workshop focuses on the purpose of cabinet making, whilst embracing contemporary technologies. The London Design Festival has collaborated with the British furniture and lighting producer Established & Sons to create a series of one-off benches to mark ten years of the Festival. Each one is made from a different material and designed by a different designer.